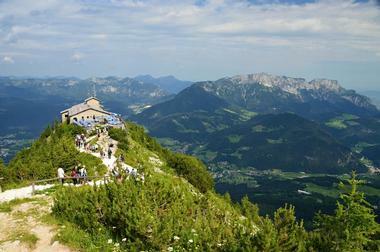 Bavaria is located in the southeastern region of Germany, bordering Austria and parts of the Czech Republic. From learning all about the history of the BMW auto manufacturer at the BMW Museum to taking a breathtaking boat tour along the shimmering Alpsee Lake, visitors will have the opportunity to maximize their fun in Bavaria with this detailed list of things to do. 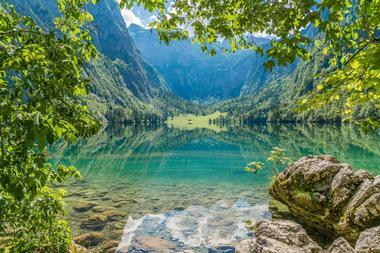 Alpsee is a beautiful, shimmering lake located in southern Germany, in Bavaria’s Ostallgau District. The lake is approximately one square kilometer in size and provides about five kilometers of pristine shoreline. Nestled between heavily-wooded slopes in a region with unspoiled natural beauty, the lake offers an idyllic setting for a day of outdoor recreation. There are boat rental services available, giving visitors the unique opportunity to paddle around the lake, taking in views of wild swans, lushly forested landscape, and historic castles off in the distance. 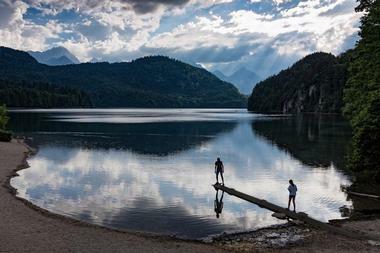 Visitors will also have the chance to hike along plenty of picturesque trails that surround the lake, providing marvelous views of the surrounding Bavarian Alps. The BMW Museum is a large automobile museum that is dedicated to the history of the auto-manufacturer, BMW. 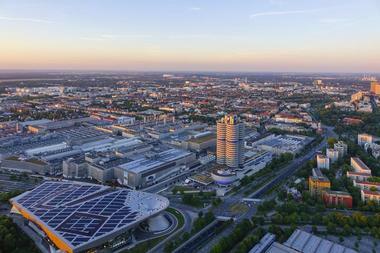 The museum is situated near the Munich Olympic Stadium, Olympiapark, and Olympiaturm, in Munich, Germany. From the very beginning, BMW had developed an awareness for its own history. From as far back as 1922, the company began displaying souvenirs that were not-for-sale within a room located inside of its Munich plant. Over time this collection has evolved into the grand museum that can be explored today, including a historical exhibition that was added in 1966. Some of the permanent exhibitions visitors can expect to see include the House of Design, House of Technology, and House of the Series. Chiemsee, also known as the “Bavarian Sea,” is the largest lake located within the German state of Bavaria. The lake is home to three main islands – Herreninsel (the largest island), Frauenchiemsee, and the uninhabited Krautinsel, sometimes referred to as the “Cabbage Island.” On the island of Herreninsel sits an incomplete palace that was intended to be an exact replica of the Palace of Versailles, built in 1878 by King Ludwig II. Visitors can enjoy tours of this historic palace during the summer months. There are also several picturesque hiking trails all around the island of Herreninsel for visitors to explore. The lake offers the perfect setting for water activities that include boat tours, sailing, kayaking, and fishing. Christkindlesmarkt, otherwise known as the Christmas Market, is a wonderful street market that is dedicated to the celebration of Christmas. 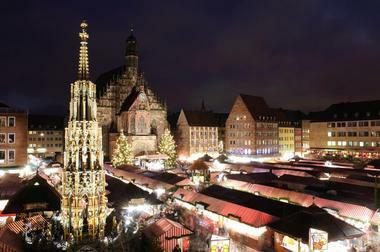 Though there are many of these markets all around the world, Christkindlesmarkt in Nuremberg, Germany, is considered to be among the oldest and most famous of these Christmas markets. The streets are lined with several stalls and attractions that are enveloped in the spirit of Christmas. Visitors can expect to see and find things that include the Nativity Scene, carved Nutcrackers, candied and toasted almonds, soft gingerbreads, and traditional Christmas cookies. Visitors will also find warm eggnog-type drinks and hot mulled wine to help with the cold winter conditions. 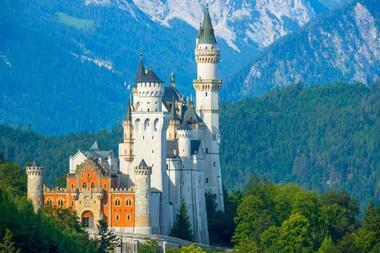 Neuschwanstein Castle is a marvelous 19th-century palace that embodies Romanesque Revival architecture. 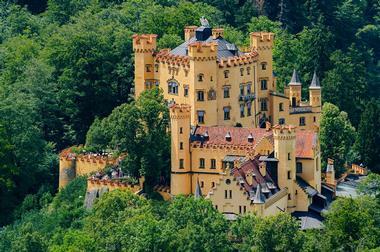 The palace is located high up on a hill overlooking the village of Hohenschwangau, Germany. This incredible architectural masterpiece was originally designed and constructed to be the private hideaway of the shy King Ludwig II of Bavaria. It is now one of Germany’s main tourist attractions and receives over million visitors each year. The palace offers magnificent views over Alpsee lake and the surrounding lush green forest. The Pollat River also runs by the palace, offering stunning views of waterfalls and shallow pools. Visitors will have much to explore and photograph during their time at Neuschwanstein Castle. 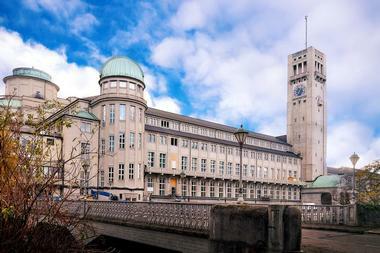 The largest museum of technology and science in the world, Deutsches Museum is located in Munich, Germany. The museum holds more than 100,000 exhibited objects that have been collected from about 50 different fields of technology and science. The museum has 35 exhibitions on seven different levels, some of the exhibitions include Astronomy, Amateur Radio, Geodesy, Energy Technology, Computer Science; Mathematical Cabinet, Environment, Planetarium, Marine Research, and Physics. The museum’s massive collection of objects range from the Stone Age all the way up to present day. Not limited to specific subject areas, they contain items from atomic physics to mining to historical aircraft. Visitors will appreciate the 25,000-square-meter museum and its massive collection of technology and science history. 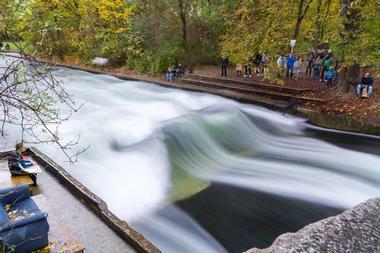 Eisbachwelle is a wave that can be surfed within a man-made, two-kilometer-long river that flows through Englischer Garten – a park in Munich, Germany. This man-made river is an extension of the Isar River. The shallow and cold surf spot began gaining popularity in the beginning of the 1970s, and has since grown to host an annual surf competition. The wave itself has evolved over time, as surfers have figured out a way to “hack” the wave by creating a system of ropes and planks under the water to channel this unique wave into two cleaner, taller U-shapes. Visitors flock to this man-made river and its standing waves to be entertained by experienced surfers and their incredible talents. The Englischer Garten is a beautiful public park that is situated along the winding Isar River in Munich, Germany. Englischer Garten got its start in the year of 1789, after Elector Carl Theodor ordered there be a public park established along the river. The project was overseen by a Briton named Benjamin Thompson; and the park was given its name because of the similarities to English country parks. Today the park offers a wonderful setting for numerous leisure and recreational activities. Visitors can enjoy cycling, walking, and jogging along the park’s 48.5-mile network of paths. 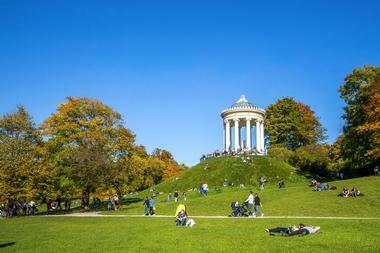 Visitors will also have the opportunity to take in breathtaking views of Munich on a hill near the park’s Monopteros. Herrenchiemsee is a large complex of royal structures on the island of Herreninsel in Chiemsee Lake, Bavaria, Germany. 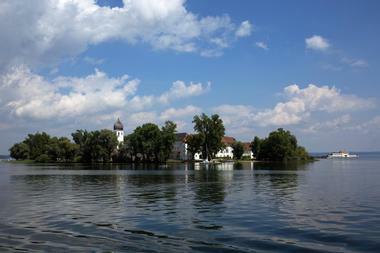 Herrenchiemsee Abbey, also known as the Old Palace, was originally a Benedictine monastery. Over time the monastery was eventually converted into the private residence of King Ludwig II, and is where he resided as her overlooked the construction of the New Palace. The New Palace was meant to resemble the likings of the Palace of Versailles, although the construction never finished. Visitors can now take tours of these marvelous structures, learning all about their incredible history and enjoying their impressive architectural displays. They can even enjoy horse-carriage rides between the Royal Palace and boat pier for a little added fun. Hofbrauhaus am Platzl is a three-story beer hall with a history that dates back to the early 16th Century in the heart of Munich, Germany. The beer hall is equipped with a plethora of historical rooms that all provide their own unique charm, as well as a Bavarian restaurant that seems to always be full of life. The vibe around the beer hall is very upbeat, people from all over the world come here to eat and drink in a historical and unforgettable setting. Some of the rooms that are ideal for conferences and festivities include the Braustuberl room, Festsaal room, Erkerzimmer room, and Wappensaal room. A wildly successful sitcom that aired in the 1960’s, Hogan’s Heroes was fictionally based off of a group of Allied Airmen who were captured and brought to a German POW camp near Hammelburg, Germany. The POW camp that was depicted in the show’s series, Stalag 13, is an actual POW camp near the town of Hammelburg. The town of Hammelburg is quite beautiful; there are vineyards that cover the hillsides and magnificent medieval castles close by. Stalag 13 has since been removed, and all that remains is the officers’ portion of the World War II camp, Oflag 13. Visitors can admire the remaining structures and POW graveyard from the active military base’s perimeter. Hohenschwangau Castle, otherwise known as Schloss Hohenschwangau is a palace from the 19th century that is located in southern Germany. The palace was the residence of King Ludwig II during his childhood upbringing and was constructed by his father, King Maximillian II, both of Bavaria, Germany. 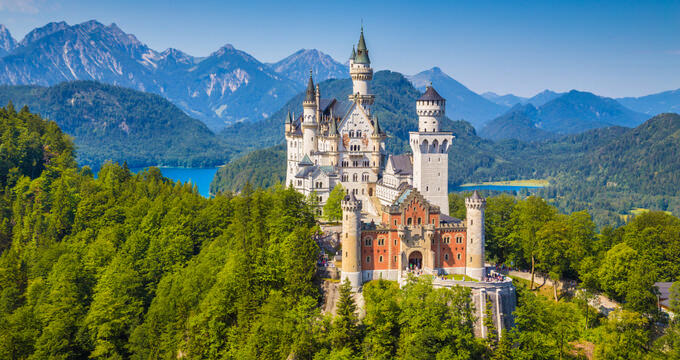 There are a number of tours and attractions for visitors to both explore and enjoy, including the Neuschwanstein Castle, Museum of the Bavarian Kings, and the Hohenschwangau Castle. Both of the castles can only be toured via a guide at set admission times. The complex also features a souvenir and gift shop so visitors can purchase postcards, books and biographies relating to the royal families, nostalgic children’s books, coffee mugs, and more. Kehlsteinhaus is a structure that sits on top of the Kehlstein summit, a rocky outcrop that’s situated just above the Obersalzberg, near the small town of Berchtesgaden, Germany. The building itself is from the Third Reich era, and was used exclusively for members of Hitler’s Nazi Party for social and government meetings. There are 14 documented instances of when Adolf Hitler visited this structure high up on the mountain, which he apparently didn’t like because of his complete fear of heights. Visitors can enjoy guided tours of the structure and learn all about the history during those times of war, as well as how the Nazi Party operated. Konigssee is a crystal-clear, natural alpine lake that is situated within the Berchtesgaden National Park in southeast Bavaria, Germany. This beautiful lake is located just inside of the national park and is fairly easy to reach. It’s a short, 10-minute bus ride from the town to the lake’s parking lot; then about a 10-minute walk down to the lake and boat dock. Visitors can take a boat tour along the shimmering lake, enjoying breathtaking views of the tall, vertical mountain walls, and the often-photographed church of Sankt Bartholoma. Visitors will have plenty of opportunity for outdoor recreation, including hiking, swimming, sunbathing, fishing, and boating. 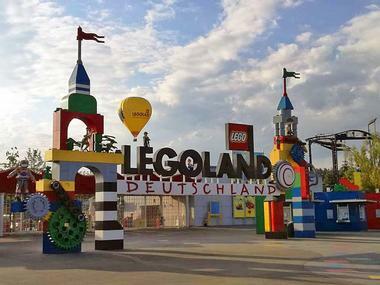 Legoland Deutschland Resort is a theme park and hotel that is located in the city of Gunzburg, Germany, about 80 miles northeast of Munich. Visitors will have the chance to experience and enjoy a number of attractions that are fun for the entire family, including the LEGO Star Wars Model Show, Jay’s Reaction Training, Coles Climbing Wall; The Shipyard, Kids Power Tower, Water Playground, Nintendo Zone, and LEGO Factory. They’ll also enjoy LEGOLAND ATLANTIS by SEA LIFE and the LEGO NINJAGO – The Ride. There are several options for food and drink within the park, such as the Ninja Kitchen, Ice Station, Asia Chicken House, STARS Grill House, and Café Einstein. 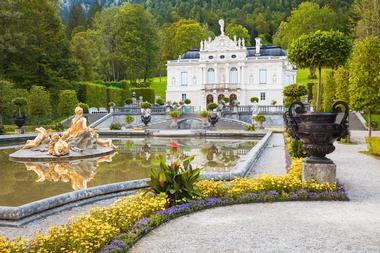 The only palace that King Ludwig II had built and seen completed, Linderhof Palace is a German Schloss that is situated within the state of Bavaria. 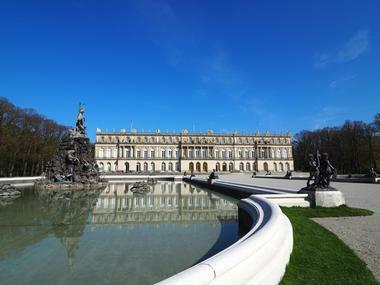 Although Linderhof is smaller in size compared to Versailles, it’s clear that the palace that belonged to French Sun-King Louise XIV was its inspiration. The rooms within Linderhof offer a fairly private atmosphere: in fact, there’s really only four functional rooms inside the palace. The Hall of Mirrors is a popular room to explore within the palace, it’s said to have been used as some form of living room for the king. Visitors will enjoy beautiful views of the palace’s gardens, architecture, and unique décor pieces as they tour the grounds. 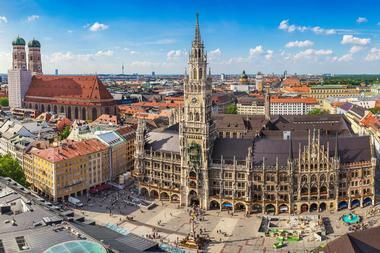 Marienplatz is a vibrant, energy driven plaza, or Central Square that is located in the heart of Munich, Germany. Lined up all along the perimeter of the plaza are a variety of sensational restaurants and stylish shops for visitors to explore, as well as many historic buildings with intricate architectural features. There are four major points of interest at Marienplatz that visitors will want to explore, they include the Column of St. Mary, Old Town Hall, New Town Hall, and Glockenspiel – a beautiful clock tower that operates motorized figurines. 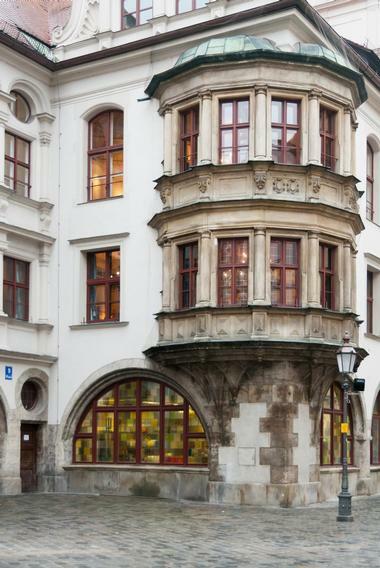 A few other nearby attractions include Mariensaule, Rathausgalerie, and Altes Rathaus. Munich Residenz is a palace that was the former residence of Bavaria’s Wittelsbach monarchs in southeast Germany. 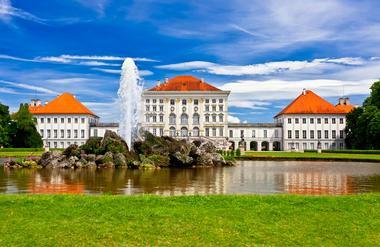 This royal palace is conveniently situated within the heart of Munich. This grand complex of buildings contains 130 rooms and boasts 10 different courtyards. There are three main sections of the complex for visitors to explore, they include the Alte Residenz, Konigsbau, and Festsaalbau. The Cuvillies Theatre is located in a section of the Festsaalbau; it’s also equipped with the Herkulessaal – the hosting concert venue of the Bavarian Radio Symphony Orchestra. Visitors will enjoy the rich history, unique artifacts, and beautiful architecture during tours of the palace. In March of 1933, just weeks after Adolf Hitler’s appointment to Reich Chancellor, the Dachau Concentration Camp was set up to receive political prisoners. The first of the concentration camps, Dachau became the mold for all future concentration camps and was a “school of violence” for SS men under Adolf’s command. In its 12 years of existence, more than 200,000 people from all around Europe were imprisoned at this camp and its many subsidiary camps. 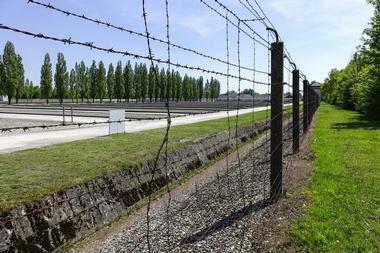 The camp now serves as a Memorial Site that was established in 1965 by the Comite International de Dachau – a group of surviving prisoners. Today visitors can take guided tours of the camp, exploring exhibitions, historical sites, and memorials. 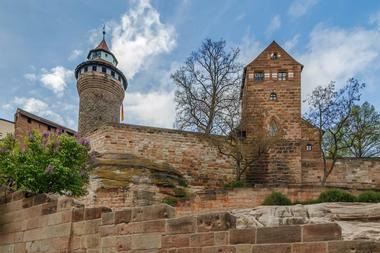 Nuremberg Castle is a collection of medieval and fortified buildings that are situated along a sandstone ridge in the heart of Nuremberg, in the state of Bavaria, Germany. The castle along with the city’s walls are considered to be among Europe’s most formidable fortifications from the medieval time period. The permanent exhibition within the castle was redesigned in 2013 by the Nuremberg museums and Bavarian Palace Department. The new concept clearly illustrates important information regarding the Holy Roman Empire of the German Nation, as well as the function and elements of the castle through historical context. The castle’s rich history, beautiful architecture, and informational displays offer a unique experience when traveling through southern Germany. Nymphenburg Palace, or “Castle of the Nymph,” is a marvelous Baroque palace that is located in the city of Munich, in the state of Bavaria, Germany. 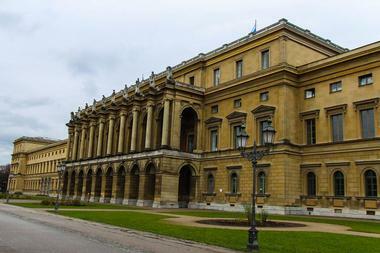 The palace was once the primary summer residence for Bavaria’s previous rulers, from the House of Wittelsbach. The palace boasts magnificent English-style landscaped gardens, beautiful waterways and canals, impressive statues, and architecture that simply takes the breath away. The spring and summer are especially exceptional times of year to visit, when nature is vibrant and the gardens are in full bloom. Many of the rooms feature noble neoclassical furniture pieces, painted ceilings, and intricate details around doors, windows, and various portions of the walls. 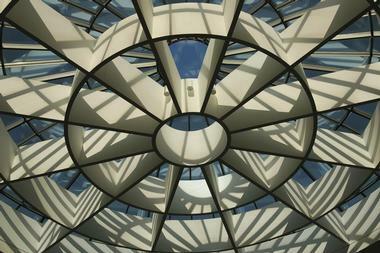 The Pinakothek der Moderne is a museum of modern art that is located at the center of Munich’s Kunstareal. The museum is recognized as being one of the largest in the world with regards to its contemporary and modern art collections. The locals occasionally refer to the museum as the Dritte Pinakothek, referencing both the Old and the New. It is a museum of Architecture, Graphics, Design, and Art. Visitors will experience a setting that will excite their visual and spiritual senses as they make their way from one magnificent exhibition to another. There are two areas reserved for exhibitions from the Graphische Sammlung and Architekturmuseum. 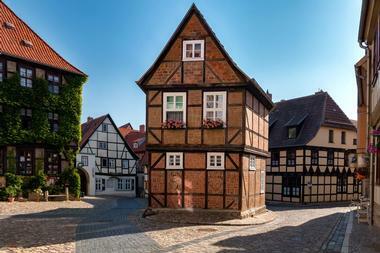 Quedlinburg is a charming town located in northern Germany, approximately 135 miles southwest from the city of Berlin. The town is well known for its unique medieval streets that are lined with quirky, half-timbered houses. Quedlinburg Castle sits high up on a hill overlooking the town. The tomb that belongs to 10th-century German King Henry I resides within a Romanesque-style Church of St. Servatius – part of the castle’s complex. The Selke Valley Railway offers marvelous trips from the town along beautiful meadows, sharp cliffs, and lush-green forests. Visitors will want to check out the Schlossmuseum where they can explore the thousand-year-old artifacts on display. 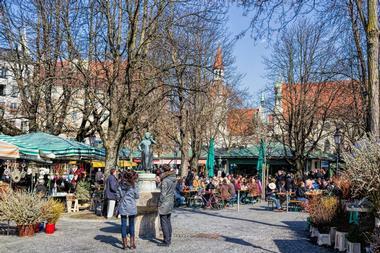 Viktualienmarkt is a vibrant square and daily food market located in the heart of Munich, Germany. It has evolved from a simple farmers’ market to the wonderfully extravagant and very popular gourmet market that it is today. The market really shines when it comes to fresh food and specialty items. Within its generous lot of 18,591 square meters, there are approximately 110 different retailers that offer spices, pastries, bread, fish, cheese, poultry, game, meat, tropical fruits, vegetables, domestic fruit, flowers, and so much more. Visitors will be absolutely delighted by all of the beautiful colors and incredible smells, it’s a place they’ll want to spend hours exploring. Wurzburg Residence is an incredibly beautiful palace that is located in the city of Wurzburg, in Germany’s Bavaria region. 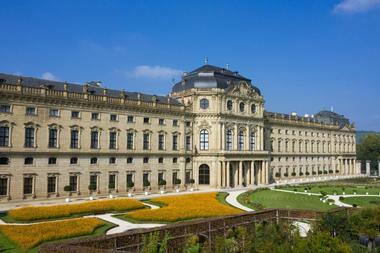 The 18th-century palace is well-known for having lavish rococo and baroque architecture. It boasts a large fresco by Venetian artist Tiepolo, an elaborate staircase, and many ornate rooms. The chapel and Imperial Hall are a couple of other highlights within the palace. The building was reported as being called the “largest parsonage in Europe” by Napoleon. The building has been listed as a UNESCO World Heritage Site since the year of 1981. Visitors can tour the palace and grounds, and enjoy the beautiful sights of intricate architecture and breathtaking art work, along with well-manicured gardens.